I’m too tired at night and fall asleep without flossing. I don’t have time/ I have a busy schedule. It hurts and makes my gums bleed. Floss first. 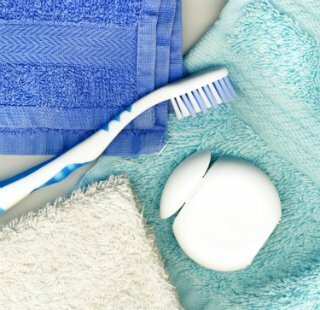 Floss your teeth before you brush to get the dreaded chore out of the way, right from the start. A number of motivational speakers actually suggest this strategy for overcoming other areas procrastination and worry in your life. It has been shown that you’ll feel better and become more productive if you choose to start out by talking the unpleasant task first. But, there is another benefit to flossing first. When you’re finished flossing, you’ll definitely brush next, even if you’re tired or running short on time. However, it’s all too easy to skip the flossing altogether if you have brushed your teeth first. In essence, by flossing first, you can establish a new oral hygiene routine in which you will complete the necessary steps and you’ll be less likely to skip the part that you don’t like. It’s a new year and a new opportunity to take the small steps that can have a big impact on your health. Take the leap by committing to flossing once a day—every day. For more support or advice, contact a dentist in St. Augustine for an appointment today. "Nice video discussion by Dr. Woody Domingoes!!"